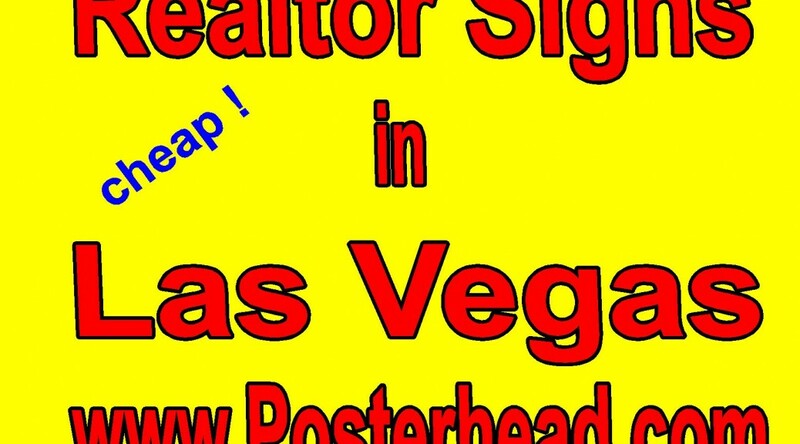 November 28, 2018 Robert W.
Commercial real estate wood for sale signs are popular with realtors in Las Vegas who offer commercial properties and land for sale. There is a saying in the real estate business that a sign will lead to 10% of the time to a sale. Think about that ! In the age of the internet and everybody going online to shop for property, a real estate sign will result in 10% of all sales ! Commercial real estate wood for sale signs are made with 1/2″ MDO board. This is basically a piece of plywood with a outer resin coat that gives the sign a smooth finish. These signs are than placed in front of commercial properties for sale and vacant land. Since these types of properties usually take awhile to sale, the realtors want a sign that will last for a long time. Commercial real estate wood for sale signs will last a long time, even in the intense heat that Las Vegas has during the summer months. They are typically supported by 4 x 4 wood posts for strength so that they do not blow over in the high winds of Vegas. 4. Information about the property like zoning, utilities, square footage etc. Commercial real estate wood for sale signs are not expensive. The typical 4ft x 8ft long sign is $225 and the smaller sign, the 4ft x 4ft sign sells for around $125.00. ( The cost for these signs in aluminum is 4ft x 8ft for $175.00 and 4ft x 4ft for $99.00 ) These signs are full color and you can have your picture printed on the sign as well at no additional cost. Contact a local sign company like www.Posterhead.com if you should need large real estate signs.